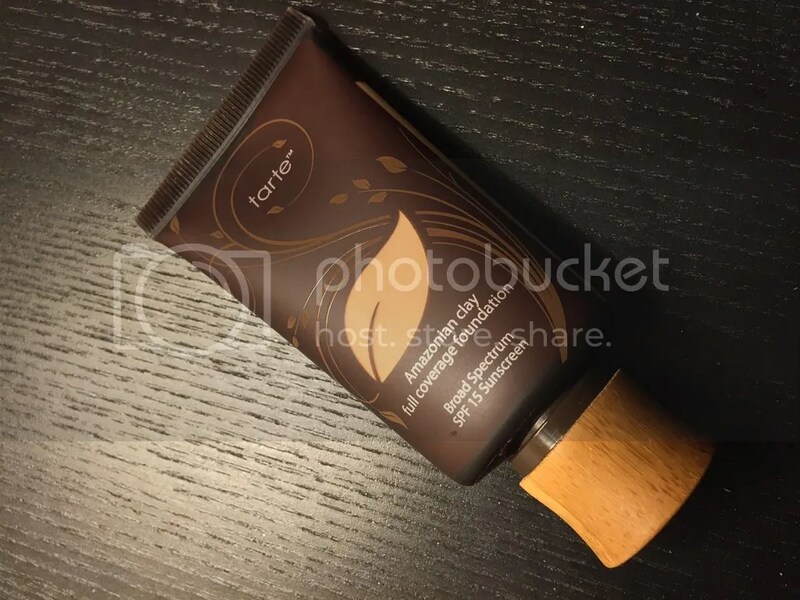 I recently went to Sephora to look for some new make up and decided to pick up Tarte’s Amazonian Clay Full Coverage Foundation with SPF 15 in Medium Beige. I’ve heard so many good things about this product and thought, “Why not?” I absolutely love this packaging on this product and the wood details. This product claims to be a long lasting 12-hour and oil free make up. Since I have pretty oily skin, this product really caught my attention. When I tried this product it gave a natural and smooth finish to my skin. I could tell that this foundation was a high quality foundation with great lasting power and good coverage. What I like about this product so far is that a lot goes along with this foundation. All you need for the day is about a small dime sized amount for your whole face for the day. So far, I’m pretty impressed with the product and I’m hoping that this foundation will work out for me.